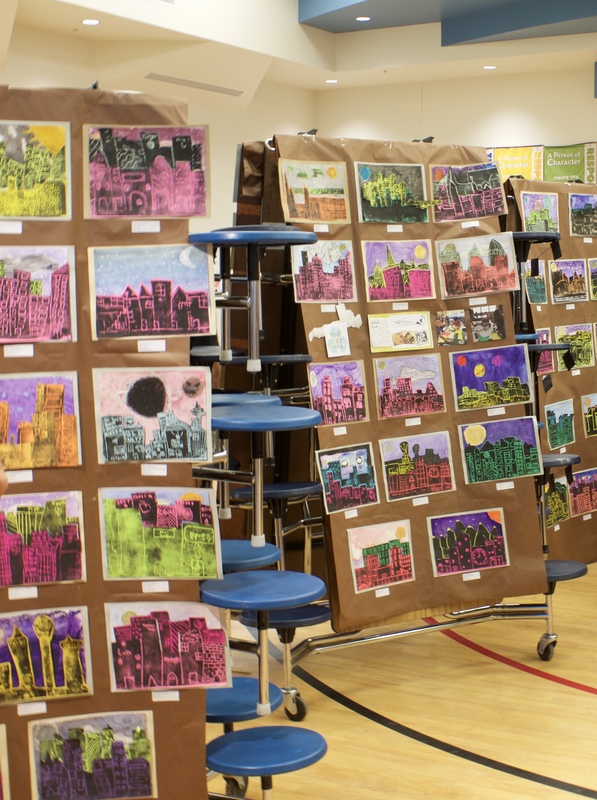 The elementary school art show. 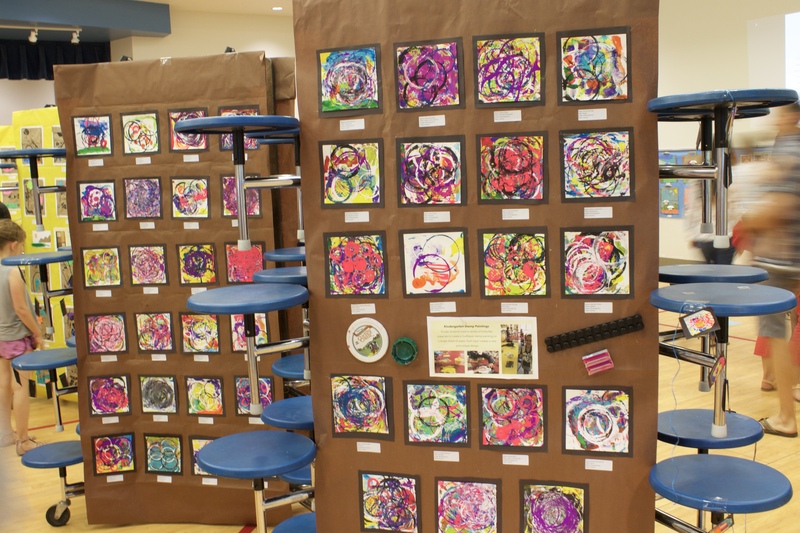 I thought it was really cool the way they used the lunch tables as easels. My son’s cityscape is the top row middle one (I think). 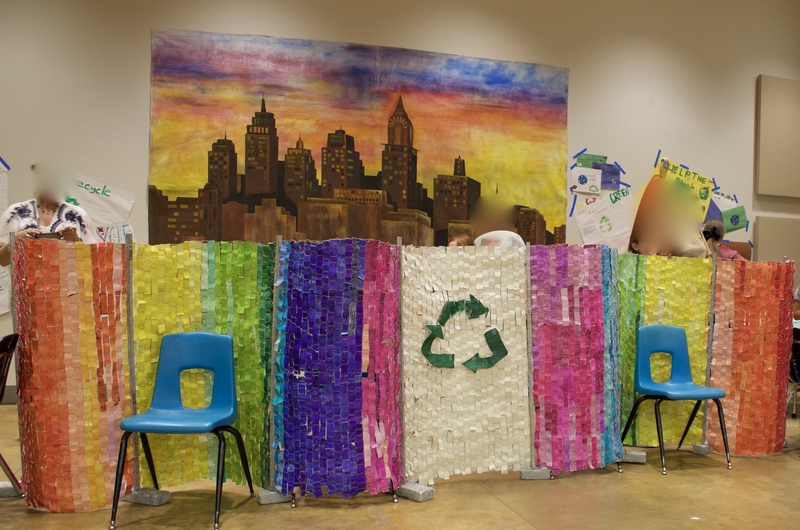 The 4th grade class recycling project. The cut milk cartons into strips, colored them with sharpies and weaved them through chicken wire. I want one of these to conceal the a/c unit outside!